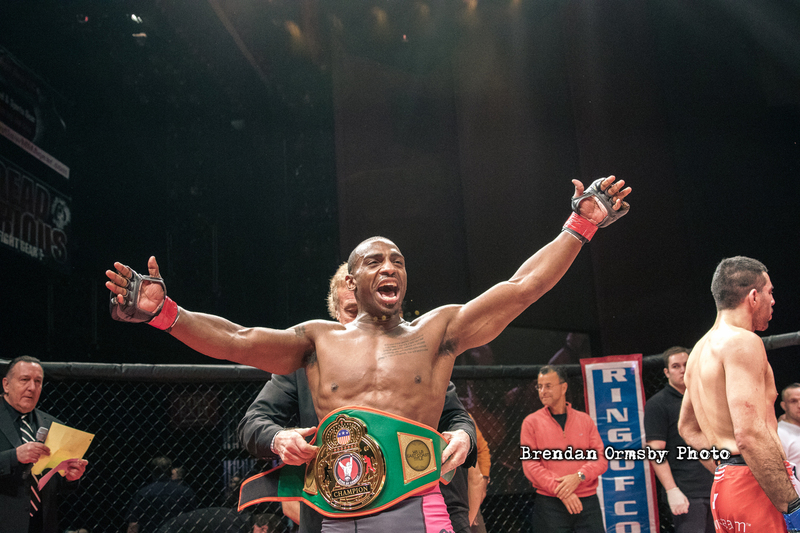 ROC57 Bradley Desir Continues To Stay Busy | Lou Neglia's Ring of Combat | Next Generation of Mixed Martial Arts! In less than two months time, ROC lightweight champion, Bradley Desir (9-5), steps back in the ROC cage for the fourth time in less than a year. Today we live in an age where fighters are lucky if they see more than two fights a year. Whether its because of opponent drop outs, lack of motivation or the injury bug, Desir continues to defy the odds and stay as active as possible as he knows that’s the path to the UFC. “I'm entering my prime now and don't want to spend it on the regional circuit. I honestly feel I belong in the UFC, and I need to stack some wins together to get my shot,” said Desir. There was a time a time when the path to glory was straight and narrow for Desir. He turned professional in 2011 and blitzed his first two opponents getting wins in his first two fights but then the hard times came. Going 5-2 as an amateur and 2-0 as a professional MMA fighter, Desir would lose three in a row. Now he is on a mission to make up for lost time. “That one rough year where I lost 3 fights in a row and was just lost in general really set me back about 3 years. I'm trying to make up for that now,” said Desir. And making up for lost time he has. Aside from one loss in 2016, Desir’s three wins all came by TKO/KO with the latest being against TUF veteran, Julian Lane at ROC 56. Now Desir holds the ROC lightweight title, a title whose last two holders were ROC alumni Chris Wade and then Gregor Gillespe both of whom now compete in the UFC. Desir plans to keep that tradition going. “I'm starting to get anxious,” said Desir. "I'm ready man, I really am. I might not have the prettiest technique, I can tuck my chin and scrap with anyone at 155,” he continued. Bradley Desir is set to defend his lightweight title against Shokhin Safarov at ROC 57, Friday November 18th at the Tropicana showroom. Tickets can be purchased through the ROC website, the Tropicana box office or any Ticket Master outlet.